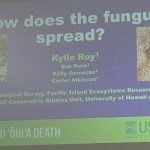 In this video presentation from the community forum on Rapid Ohia Death held at the West Hawaii Civic Center in Kona on March 30, 2019, JB Friday of the University of Hawaii Extension Service chronicles the community outreach and education efforts underway statewide to bring attention to this fungal disease. 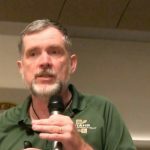 Dr. J.B. Friday of the University of Hawaii College of Tropical Agriculture and Human Resources presents the latest research on the effects of Rapid Ohia Death on Hawaii’s forests and latest data from statewide aerial surveys conducted to try and detect ROD. The research was conducted by Dr. Flint Hughes of the USDA Forest Service and Ryan Perroy of the University of Hawaii-Hilo. 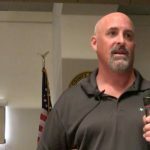 That’s a question Kylle Roy of the U.S. Geological Survey helps answer during the community forum on Rapid Ohia Death held at the West Hawaii Civic Center in Kona on March 30, 2019. This is one in a series of nine videos from presentations at the event. Researchers and land managers rely on input from the public to better learn how invasive species like Rapid Ohia Death are affecting them. 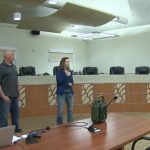 This Community Input Forum at the community forum on Rapid Ohia Death held at the West Hawaii Civic Center in Kona on March 30, 2019, provided a chance for the experts to talk directly to citizens and get their feedback on the latest research and management tools being used to combat ROD. Today, people who participated in the community forum on Rapid Ohia Death held at the West Hawaii Civic Center in Kona on March 30, 2019, break into small groups to ask questions and get answers from the experts. The discussion was focused on the five things people can do to help prevent the spread of this fungal disease. 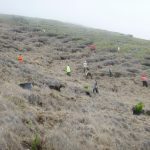 (Honolulu)-The State of Hawai'i today took a significant step towards launching its first-ever forest carbon sequestration program by selecting a standard to ensure a reliable and transparent process and to guarantee the environmental integrity of the credits resulting from it. The DLNR Division of Forestry and Wildlife (DOFAW) awarded the contracts to Verra, one of 4 standard-setting firms that submitted proposals. In our continuing series of video presentations on Invasive Species and Biosecurity, Bill Buckley of the Big Island Invasive Species Committee details the latest management tools and actions being used to fight the fungal disease, Rapid Ohia Death. 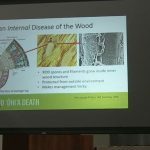 This presentation is from a community forum on Rapid Ohia Death held at the West Hawaii Civic Center in Kona on March 30, 2019. In this video Dr. Lisa Keith, a USDA researcher presents findings from Dr. Marc Hughes of the University of Hawaii on the latest scientific information on how to treat wood and trees that have Rapid Ohia Death to keep the fungal disease in check and from spreading to other wood or trees in the forest. 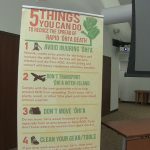 This presentation is from a community forum on Rapid Ohia Death held at the West Hawaii Civic Center in Kona on March 30, 2019. 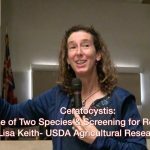 In the first part of our video presentations on Rapid Ohia Death, Dr. Lisa Keith of the USDA Agricultural Research Service and one of the primary scientists working on ROD, presents the latest scientific findings including details on the two different strains of the fungal disease that are killing trees on at least two islands. 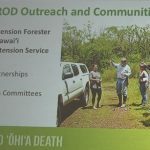 This presentation is from a community forum on Rapid Ohia Death held at the West Hawaii Civic Center in Kona on March 30, 2019. 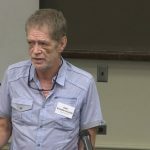 In our final video from the Invasive Species & Biosecurity in Hawai’i: New Tools and Opportunities for Public Participation, held at the William S. Richardson School of Law at the University of Hawai’i on March 23, 2019, John-Carl Watson of the Ko‘olau Mountains Watershed Partnership details all the efforts happening around the state to control and combat the invasive Albizia tree.